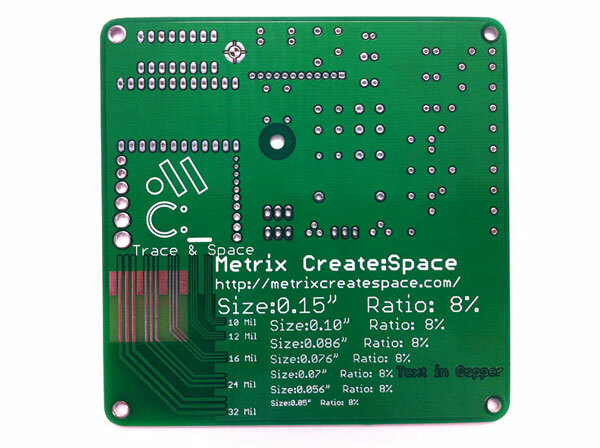 I’ve become addicted to our local maker space called Metrix Create:Space and while I’m there I always ask them what is the latest stuff they got in. That’s when I was shown the PCB Design Demo Board which was designed by Jon Chandler. 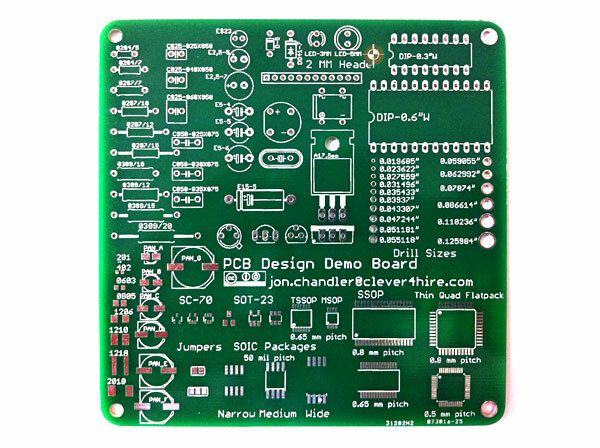 Priced at $10, it’s a bargain because if you have ever made a PCB yourself, picking the hole, SMD pad, silkscreen lettering and trace sizes can be a challenge. This $10 can help save hundreds in errors associated with picking the incorrect footprints in Eagle. Also, if you are in the Seattle area peep Metrix Create:Space — just don’t hog the laser cutter!